At TSS, our primary focus is to first develop trusting and supportive relationships with the children. We believe that it is through these relationships the children will gain the confidence and willingness to learn about the world around them. Our focus is to appreciate the process of discovery, not the product. The emphasis is to nurture the individual, social, and emotional development of each child and providing them with problem solving skills that will help prepare them for school and beyond. Each child has a story to share and build upon. The teachers’ role is to connect with the children through their stories and collaboratively make meaning from each child’s discovery. We observe children as individuals, document progression, and find ways to add to their experiences. We use each child’s story to build relationships with each other, reflect on past experiences, and to inspire the children to extend their learning. We focus on the process of discovery as we track each child’s development and inspire them to be lifelong learners. As the children share their stories they become more aware of themselves, each other, and our diverse communities. 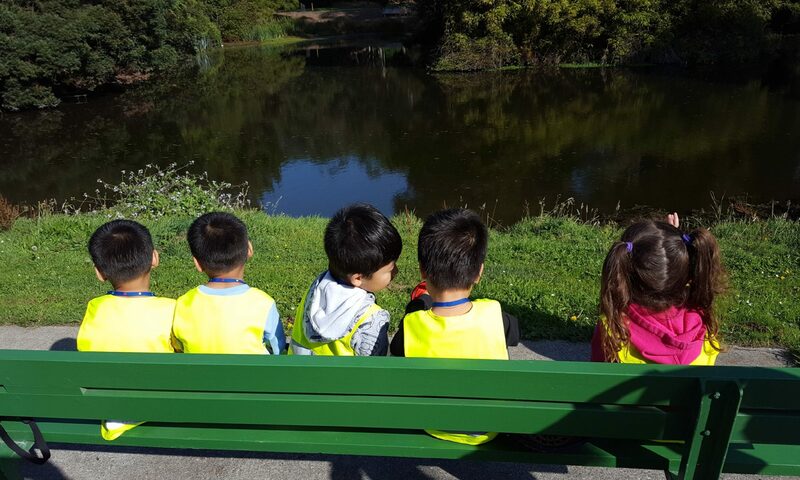 As we prepare our children for lifelong success we want to embrace the diversity that comes from living in San Francisco, while integrating Chinese (Mandarin/Cantonese) language and culture into our curriculum. It is easier for children to acquire different languages during their foundation years; and we believe that as long as the children are engaged in stimulating projects, there will be an intrinsic desire to participate and communicate in the target language. Language can be used as a tool to bridge cultures and bring people together.